British rider Bradley Wiggins has suggested Team Sky’s dominance is bad for cycling. BRITISH RIDER BRADLEY Wiggins said on Wednesday that Team Sky’s dominance and the controversies surrounding the cycling team have led to a “negative” atmosphere in the sport. The former Sky star was speaking to reporters at a London event to announce the new roster and suppliers for Team Wiggins, set up in 2014. But the five-time Olympic champion and 2012 Tour de France winner was less willing to answer questions about Team Sky, their star rider Chris Froome’s adverse test for an asthma drug or UK Anti-Doping’s (UKAD) investigation into an allegation Wiggins broke anti-doping rules in 2011. 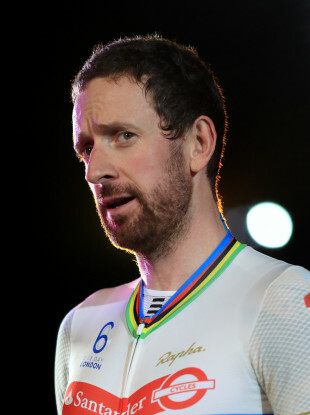 Wiggins, however, did make several unflattering references to his former team during his on-stage interview, including one piece of advice for Team Wiggins’s star signing Tom Pidcock. When asked about these comments later, Wiggins said: “They are not barbed jokes or digs, that’s the reality of the sport at the moment. I saw the reports only last week from (the Ruta del Sol in) Andalusia, or wherever it was, and they are the best team in the world. How many races did they win last week? Asked if he had an opinion on the decision made by Froome and Team Sky to keep racing while his adverse analytical finding case is resolved, Wiggins said he did not have an opinion on it. He also refused to elaborate on his November threat to sue UKAD for what he described as a “malicious witchhunt” but did say “I’m going to have my say on that very soon”. Wiggins’s original threat came after UKAD announced it would not be charging him over a mystery package he received in 2011. UKAD said it had been unable to either prove or disprove his and Team Sky’s account that he had taken a legal decongestant at the end of the 2011 Criterium du Dauphine and not a banned corticosteroid, as had been alleged. Asked if the sport would benefit from a salary cap to lower barriers to entry and improve the competitive balance, Wiggins said: “Maybe, because something has got to happen. Sky are running away with it. With the office blocks they bring with them (to races), it’s difficult to compete, isn’t it? Email “'Don't go to Sky in the future... They'll ruin you'”. Feedback on “'Don't go to Sky in the future... They'll ruin you'”.